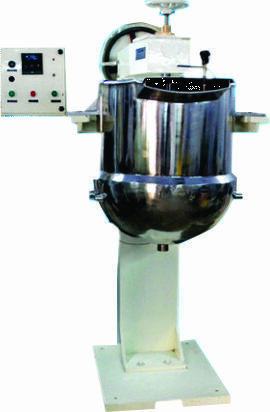 Riddhi Toffee Cooker which is particularly meant for processing toffee. The material after processing is discharged through a hand wheel. Toffee cooker is used for making toffee batch. They have a capacity of 100/200kg Batch in period of 30-35 minutes. The steam working pressure of our product is 120 Lbs. / Sq. In and had a drive Stirrer of 2 H.P. A.C. Our product is available in the dimensions of 1500 mm X 1000 mm X 2200 mm. The net weight of our product is 700kg and Stirrer Speed is45-90 RPM. ·Power – 1. H.P. D.C.